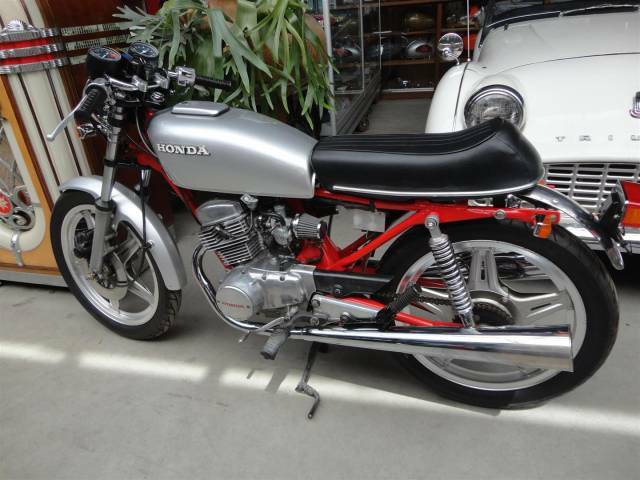 A perfect, PERFECT Honda 125CC café racer. Perfectly running 2 cylinder.With dutch registration.16390 miles on the meter. Big choice in bikes and mopeds in ''''the Stolze Collection''''!